- Tour of the distillery (two tour times will be available – Sign up when you arrive to go on a tour. You can bring their beverages on the tour. Please RSVP by Sunday, Aug 27 to allow us to provide a count to the folks at Cutwater. Thank you to those joined us at Cutwater Spirits for our annual summer social. About 35 media pros got together for an evening of sharing stories, comparing notes, and making new friends. Many thanks for the the folks at Cutwater for the hospitality, tasty food, and great drinks. Our next SDMediaPros social is our Holiday merrymaking at Tom Ham's Lighthouse. There will be a no-host bar and menu available. Parking is free. See you on December 14th! The Cutwater Tasting Room and Kitchen opened earlier this year. 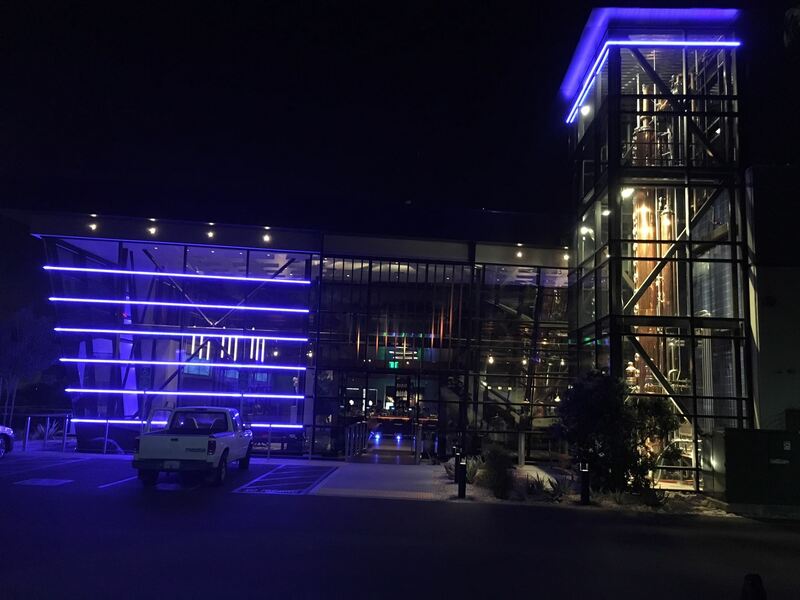 "What started as an off shoot of Ballast Point Brewing back in 2008, is now a completely separate company, facility, and product line. Our new home is a 50,000 square foot world class production facility in San Diego where our distillers can tap into their curiosity and creativity, build on tradition, all the while with their minds wide open to the unconventional. Cutwater Spirits."